We are staying at Casini Ranch and decided to take a road trip up North on Hwy 1. We were planning on stopping at Fort Ross but it was closed. 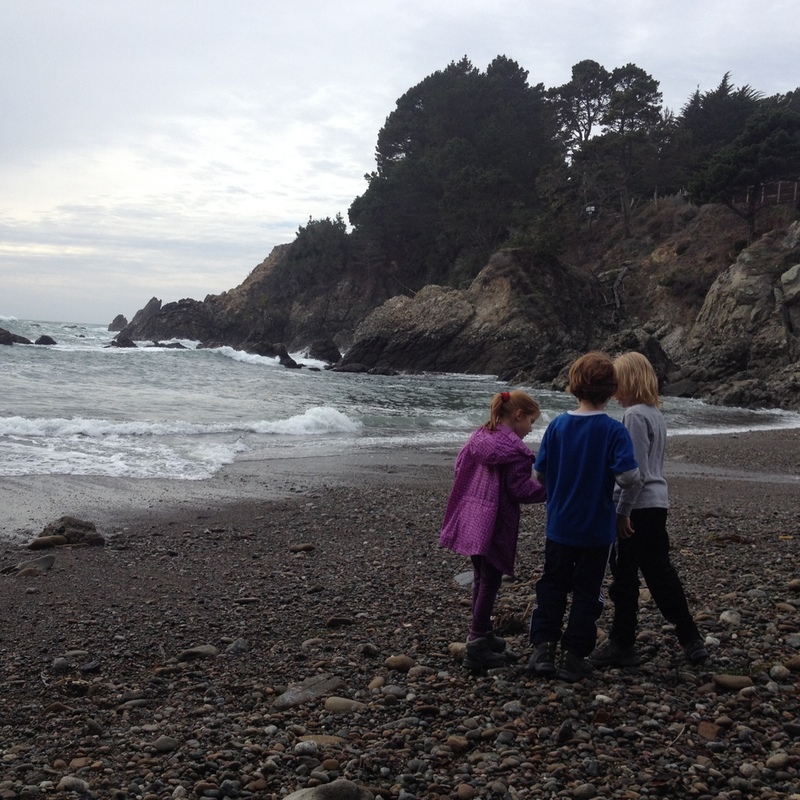 We continued on to Jenner and visited Stillwater Cove. What a lovely park. There is a campground here as well, although we did not visit it. Instead we had a picnic lunch on the day side and made our way down the trail to the beach. It’s an easy walk through the woods, but to access the beach you do cross Hwy 1. 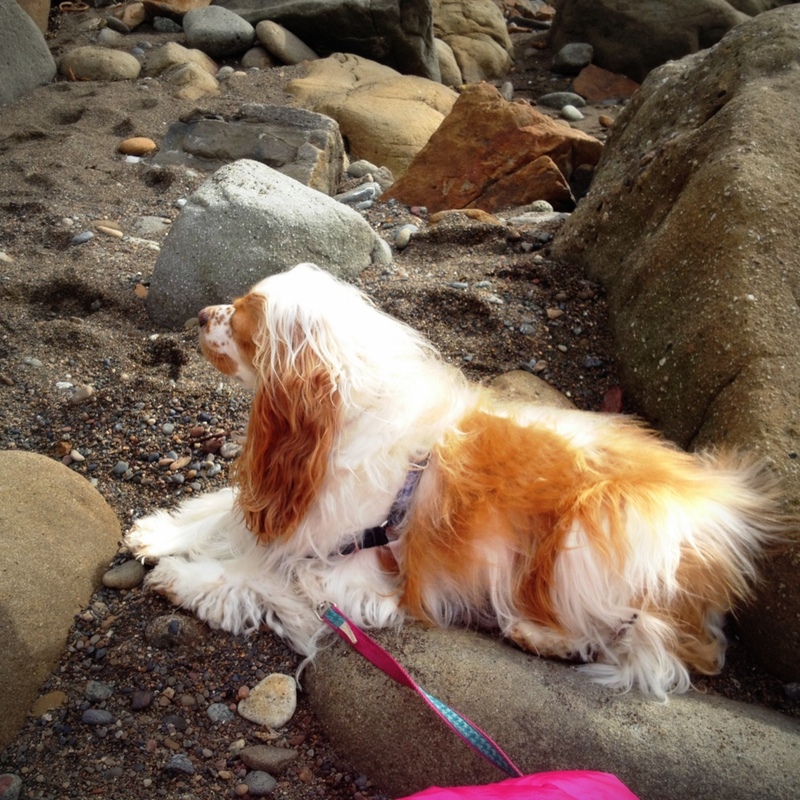 Dogs are allowed on the trails and beach and there is even a restroom at the beach as well. Lady enjoying a little coastal breeze and keeping an eye on the family. Lovely cove. The kids found rocks that bled colors to paint their face and looked for treasures. Sea glass has been particularly popular collector piece this trip. 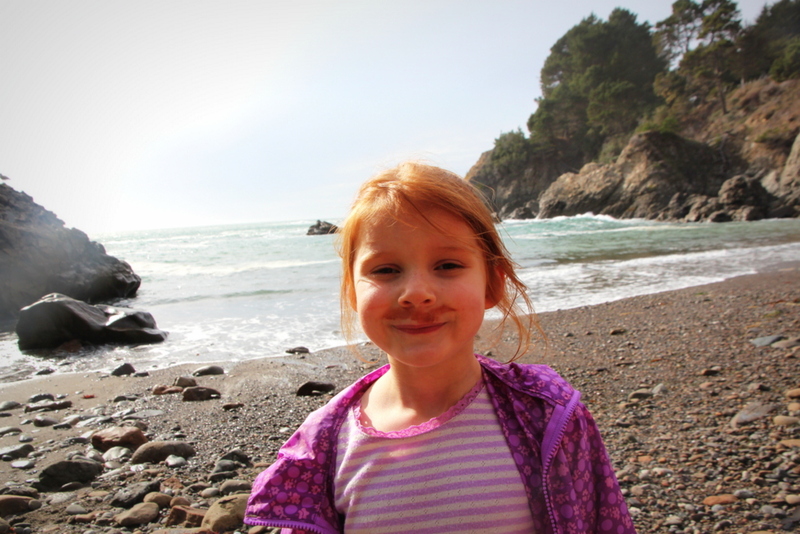 My daughter showing off her new mustache. She sure is one silly kid. What do you think? Good look for her? One never knows what they may find in a forest. 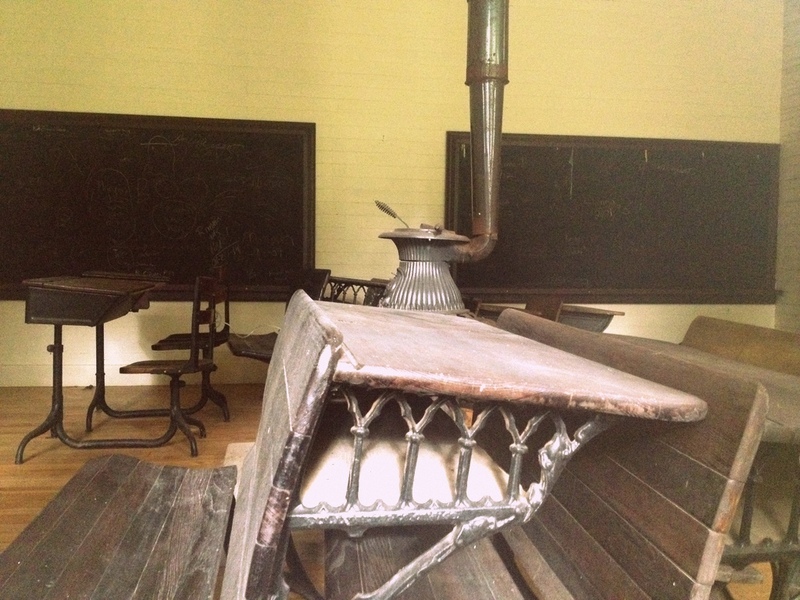 Here we stumbled upon an old school house in a secluded meadow just off the forest trail. Luckily we had some information on our newly found discovery as the park provides a laminated list of landmarks to visit in the park at the top of the trail. The kids loved the list, like a big treasure hunt. 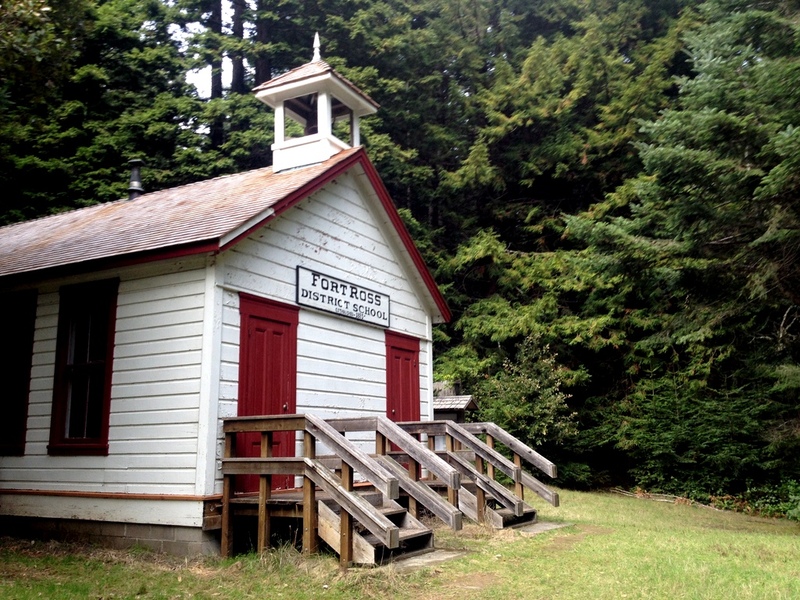 This particular landmark was the old Fort Ross school that was saved and moved to the park. 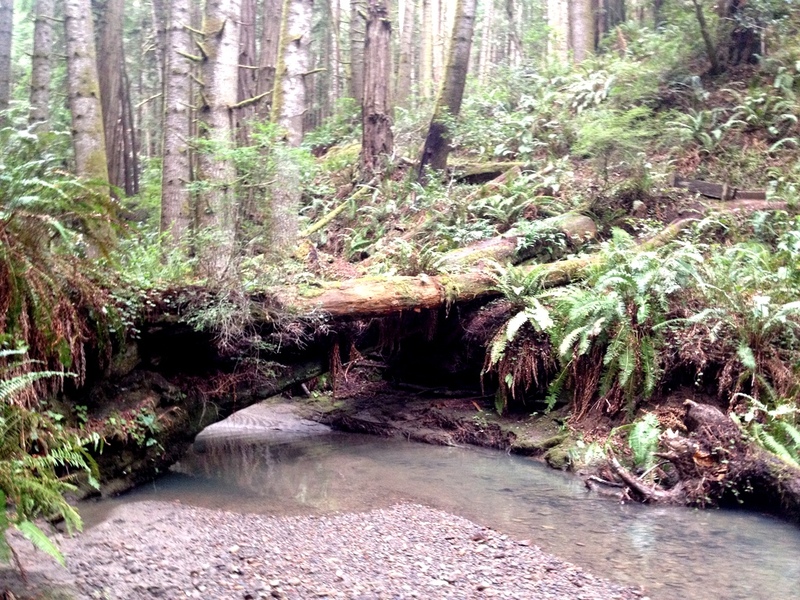 The forest itself was quite magical with all of its ferns, tall trees and aqua colored water. The children just could not resist. 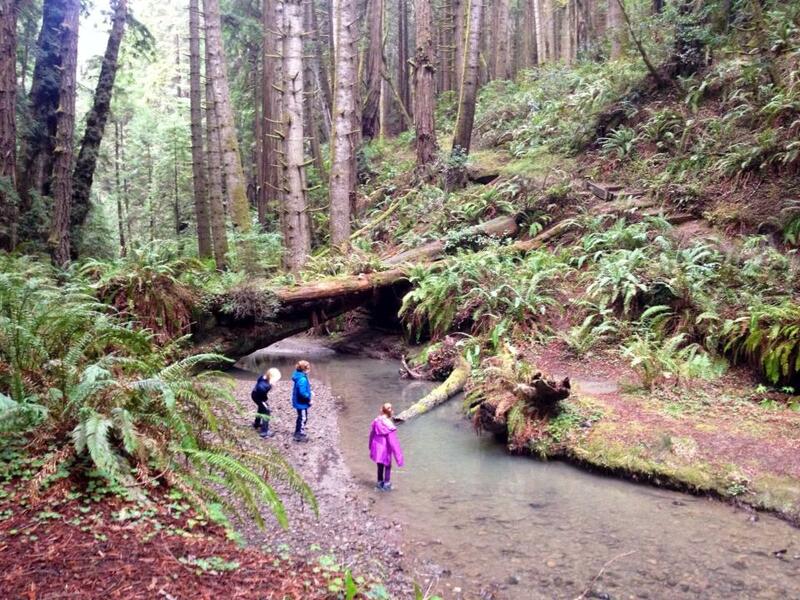 Got to love hiking in waterproof boots. Too bad the water level was so low for this time of year. It should have been rushing by with deep water instead of this playful trickle. Come on mother nature, send California some more rain!! 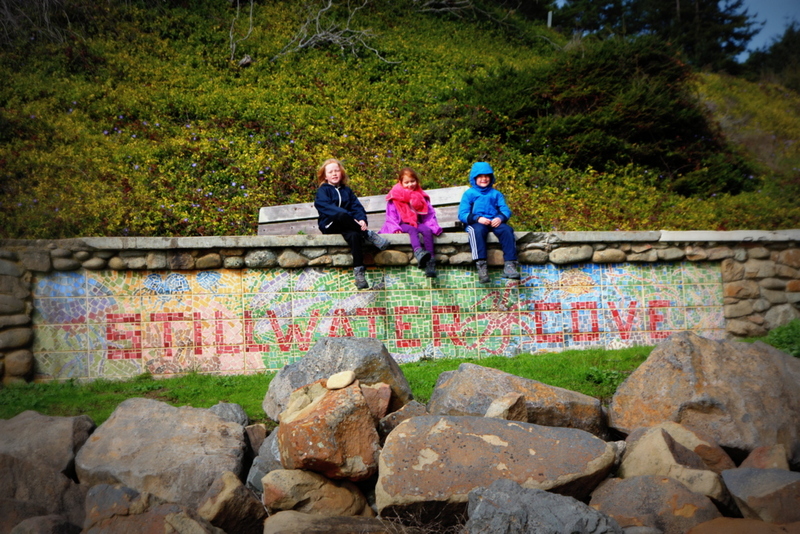 Stillwater Cove is a lovely place to visit if you can handle the curves of Hwy 1. I wouldn’t mind a return visit myself.